People are not nearly humble enough. Which is especially a problem considering the fact that medical knowledge is insanely complex, more complex than most of us would like to admit. There’s a reason why it takes so many years of medical school to be a doctor, even a doctor who specializes in only one field, like general dentistry. It takes a serious investigation of all of the nuances to find the right diagnosis. 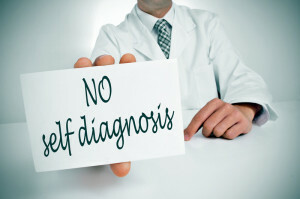 I agree that self diagnosing can be dangerous because it could definitely lead you to ignore something more serious. My boyfriend’s back tooth is hurting. He wants to avoid going to the dentist by trying to find the solution on the internet. I didn’t think this was a very wise solution and now I can see it’s possibly dangerous. I’ll be sure and pass this information, about how self diagnosing can lead to more problems, on to him.